Invisible-No-MoreMaking the most of your mid life crisisRoda’s Critter Connection, Winter Edition! Thanks Linda. Say, did you ever get the package I sent you? They were perfect! Totally yummy and I thank you so much. My UPS guy knows me well. I get deliveries A LOT! I might be on the edge of the universe, but I’m still reachable. Haha! Soooo good! Where did you find the gold sugar? I’ve never seen such a thing. It is colored sanding sugar. I think I got it at Michaels in the baking section. It is pretty isn’t it? I haven’t seen the movie yet, but it sounds like I should! And thought Australian had all the weird animals! I had never heard of them before I moved here! Wow! What an amazing critter!!!! I think you need a few of these and Indigo Acres!! 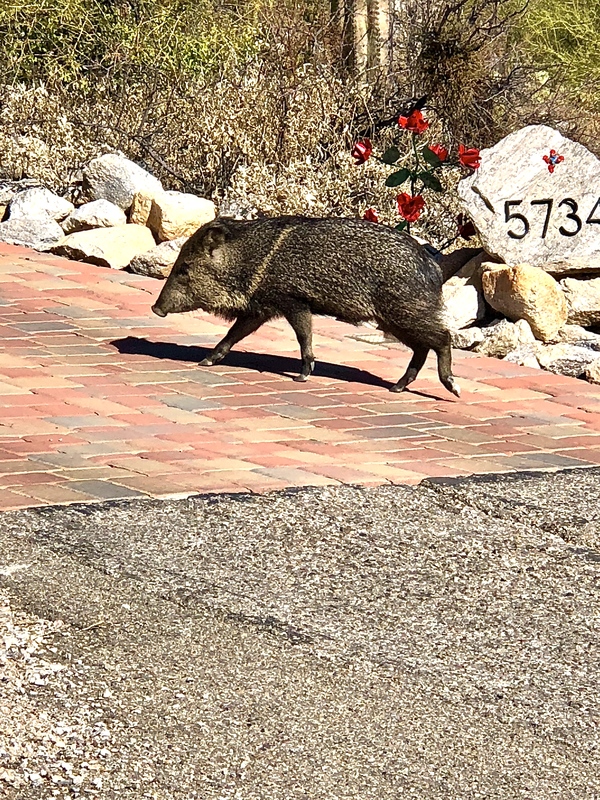 Several times, I have encountered javelinas, in our Prescott neighbourhoods. I am pleased to show them courtesy, as well as knowing that is the only sensible thing to do. I can not tell you the confusion I felt when I saw this on your insta! I didn’t think you’d been appearing in my feed and thought this was a post by Roda! Haha my brain has been one big derp lately! Javelinas are so cute! Their babies have red fur! I bet it was fun seeing them in person! It was, I so wish I could have captured a picture of the little ones-just adorable!